We perform routine pet spays, neuters, declaws, tumor removals, and other routine surgeries. 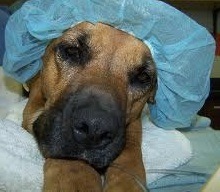 We know surgery is stressful for both pets and their owners which is why we treat each pet as an individual. We know your pet! Your pet's safety and comfort are extremely important to us. Our surgery patients have all received a thorough physical exam, all necessary vaccines, heartworm testing, and parasite preventatives. We offer pre-anesthetic blood testing to make sure that your pet is a good candidate for surgery and anesthesia. We use safe anesthetics, many of which are the same ones used in human medicine. We tailor our anesthetics to fit your pet's age, health status, and the surgical procedure being performed. 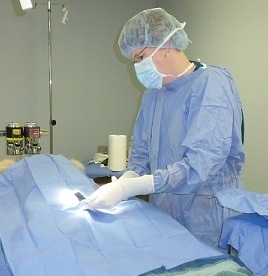 During surgery, recovery, and throughout the day, your pet will be monitored by our doctors and surgical assistants. Our patients receive pain medications while they are in the hospital and at their discharge appointment to ensure their continued comfort. All patients are discharged from our hospital with instructions for post-operative care. We follow up the next day with a phone call to make sure your pet is recovering normally and we are always available for post-operative questions and concerns.